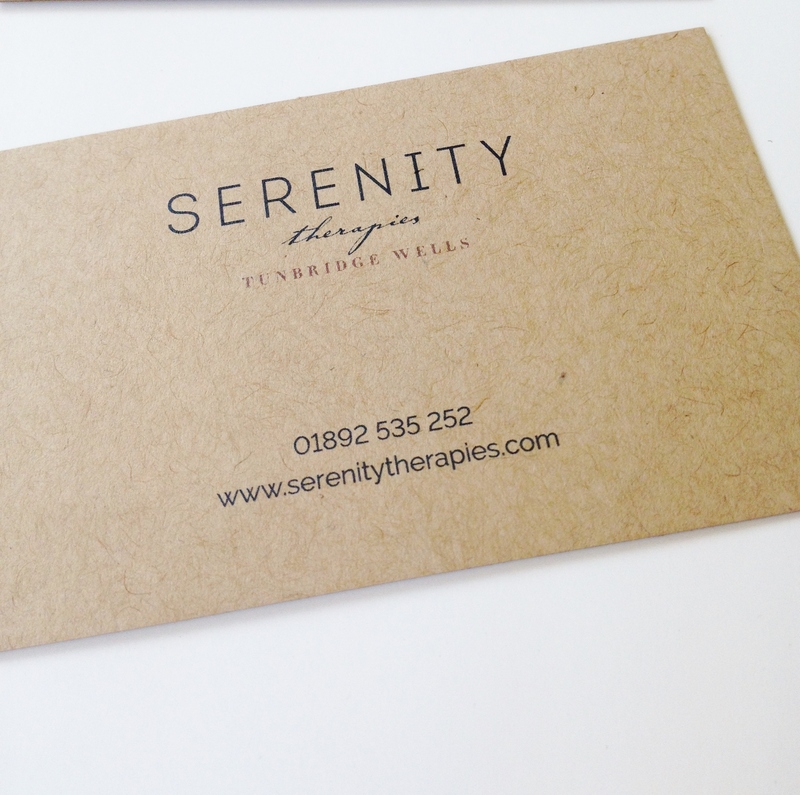 Did you see my recent blog post about our brand styling work with Serenity Therapies? Having taken over the reins of the Tunbridge Wells beauty salon two years ago, Victoria was ready to make the brand her own and came to Ditto to reposition and refresh her identity. 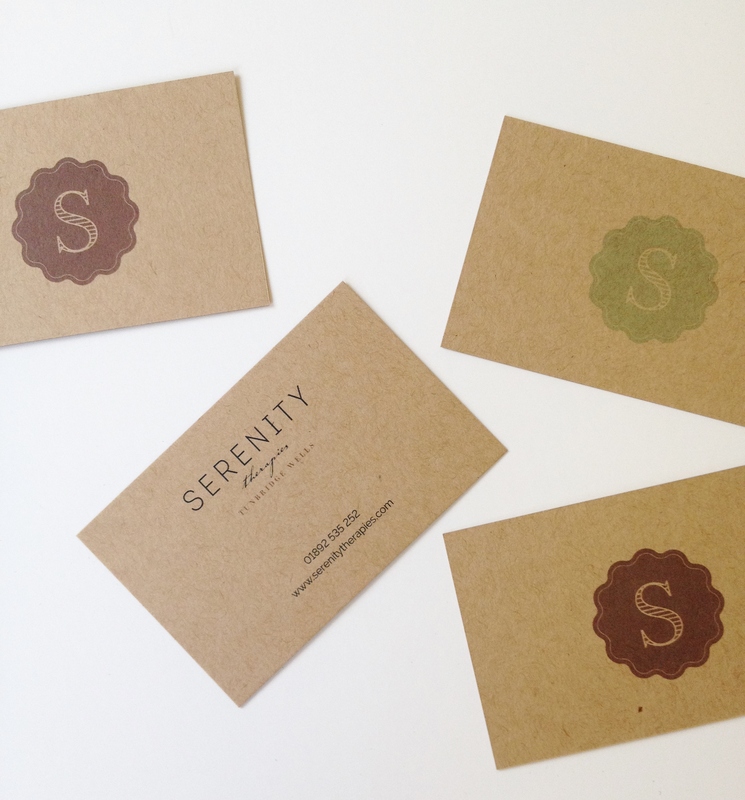 We've heard nothing but good things about the identity we created for Serenity, and I know that the staff at the salon were over the moon with their gorgeous new brand. The icing on the cake for this project was producing the printed items - business cards, gift vouchers and brochures, which is always when a new project suddenly feels very real. 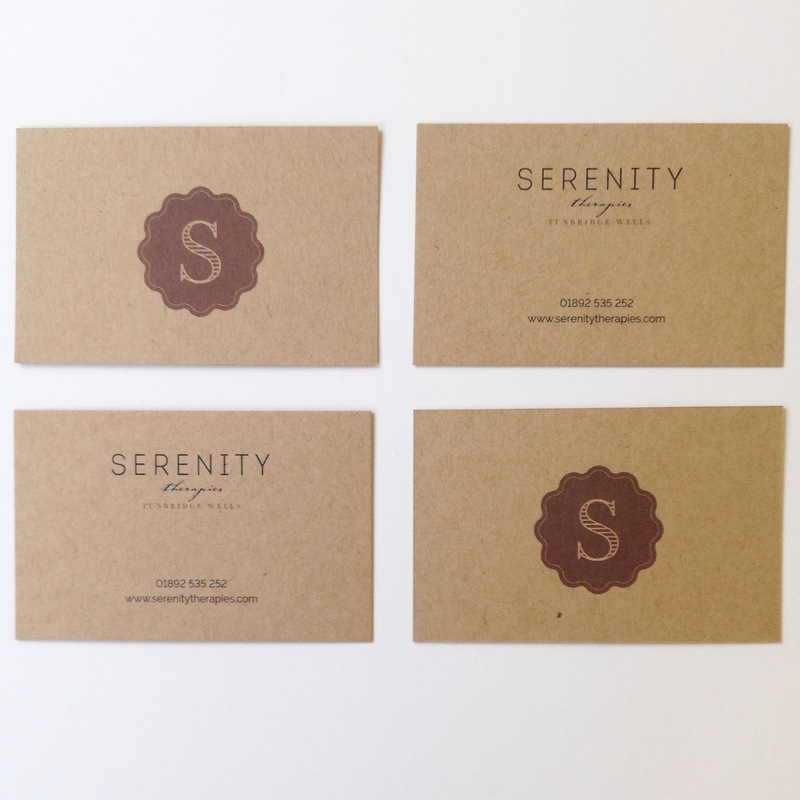 I absolutely couldn't wait for Serenity's new cards to arrive back from press, and I've not been disappointed with the results. We chose a tactile kraft board, which has a gentle texture and mottled brown colour, providing a depth and mood which you just can't beat. Aren't these business cards beautful?